Third Man Subscript was a treated prose work (derived from Greene, Orwell, Faulkner & Mailer) I contributed to Days of 49 (West House 1999), a collaboration with Gavin Selerie to mark our 50th birthdays. 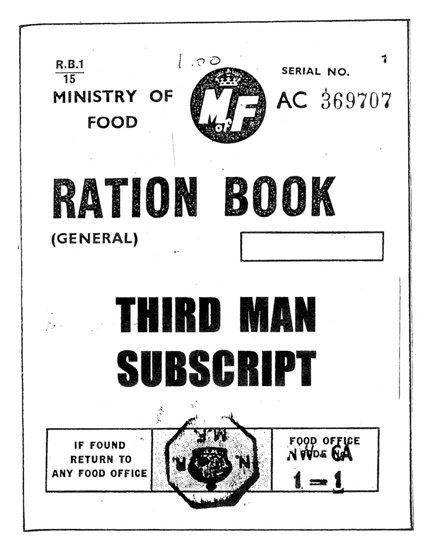 Later I was given a postwar ration book into which I collaged material from 1949 news weeklies and typed a variant text derived from the original source material. First published as a Gargoyle ration book the piece is reprinted in Marginalien, Five Seasons 2005.